Is there a way to choose an innovation strategy that relies on something other than gut feelings and hunches? If you’re familiar with the Outcome-Driven Innovation process, you know the answer is yes: there is a highly reliable way to pick a winning innovation strategy. An innovation strategy, as we define it, is a plan that details what opportunity-based segments and what underserved outcomes a company is going to target and how it is going to target them (either with existing offerings, improved products and services, or altogether new offerings). The innovation strategy also outlines the order in which the segments will be targeted and provides a timeline for implementation. It’s easiest to understand the process when you see it in action. Consider the work we did with the Bosch circular-saw product team. Through ODI-based qualitative research, we uncovered 75 desired outcomes that carpenters, roofers, framers, electricians, and plumbers were trying to achieve when “cutting wood in a straight line” (the job-to-be-done). Through quantitative research and ODI-based market segmentation, we uncovered segments of customers that struggled differently with that job. One segment, users that mostly cut 2x4s, was overserved with the circular saws available on the market—they were getting more benefits than they needed or wanted. Because they made short cuts where precision did not matter, all their needs were satisfied. On the other extreme, we found a underserved segment of users who routinely made long, finish cuts that required precision, and who often had to make angle cuts that required them to adjust the blade height and angle. That segment had 14 unsatisfied outcomes. With knowledge of these segments, we were able to formulate the innovation strategy. Success in any market comes by helping customers get a job done better and/or more cheaply, and Bosch had a number of options to consider. One option was to target the overserved segment with a circular saw that got the job done more cheaply (see Figure 1). While a viable option, it did not align with Bosch’s desire to create a premium-brand circular saw for the North American market. Another option was to introduce new laser-based technology to the market. While this sounded exciting, that technology would have had little impact on getting the job done better and would have added to the cost, a sure recipe for failure. Figure 1. Opportunity segments of circular-saw users. The option that Bosch pursued was to stick with existing technology but to add features to the platform that would address the 14 underserved outcomes in the one underserved segment. This was their innovation strategy. They knew precisely what segment and unmet outcomes to target and what technology platform to use to achieve their goals. Bosch engineers addressed the unmet needs with the CS20 circular saw, which has been the company’s best-selling circular in North America for over 10 years. 1. Who is the customer? Should we be focused on the job executor, the buyer, or those who execute the consumption chain jobs, such as installing, maintaining, and repairing products? 2. What job is our target customer is trying to get done? 3. What are the target customer’s desired outcomes? 4. Do segments of customers exist that have different unsatisfied outcomes? If so, what factors are causing some customers to be underserved while others are not? 5. 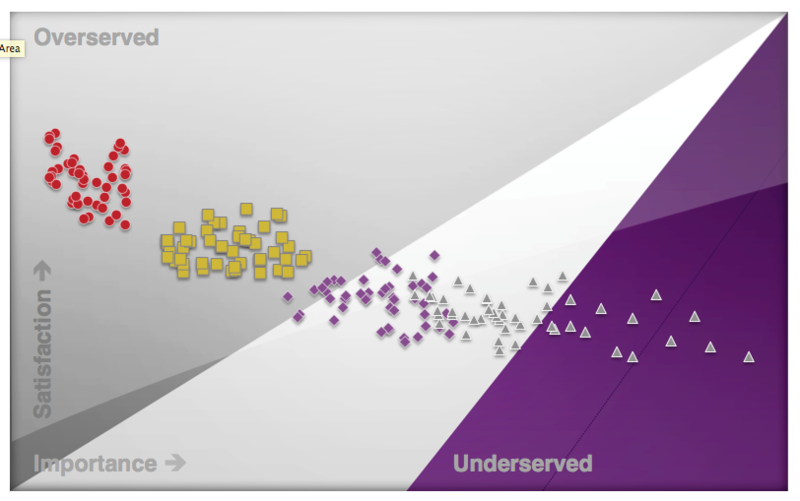 Do both underserved and overserved segments exist? Do opportunities exist to help the customer get the job done better? More cheaply? Both? 6. Given the size of any underserved and overserved segments that exist, which are the most attractive to target (e.g., hold the most growth potential, etc.)? 7. Given the goals of the company (e.g., to compete on value create at a premium price, to compete on cost in a disruptive model, etc. ), what segments are the most attractive to target? 8. What segments should be targeted and in what order over time? There is no room for hunches or guesswork: our qualitative, quantitative, and analytical methods that comprise our ODI process provide the insights needed to formulate a robust and reliable innovation strategy. 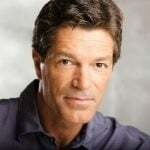 Tony is the pioneer of Jobs-to-be-Done Theory and the inventor of Outcome-Driven Innovation® (ODI), a powerful innovation process with an 86% success rate. Tony is the author of the JTBD classic, What Customers Want, and more recently, JOBS TO BE DONE: Theory to Practice. He also hosts the publication site Jobs-to-be-Done.com.